Brought here by my parents to try their apparently famous fishball noodles. It's a corner shop btw. 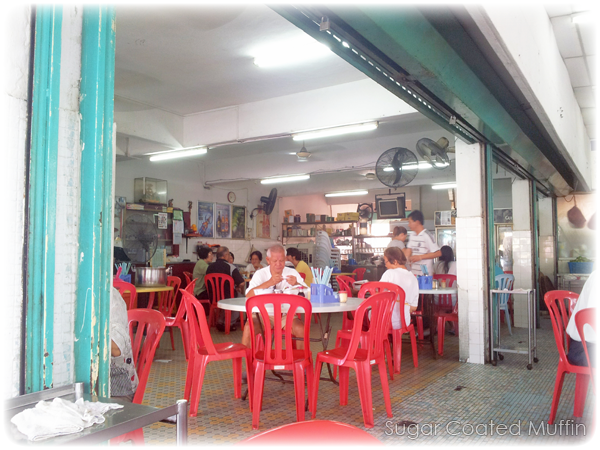 Typical kopitiam setting with lots of seating available. 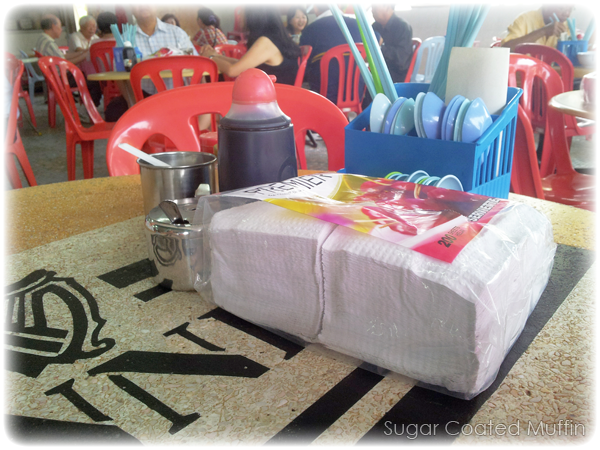 The place looks clean with adequate utensils and even a huge packet of tissues on each table. Warning : This is really spicy! 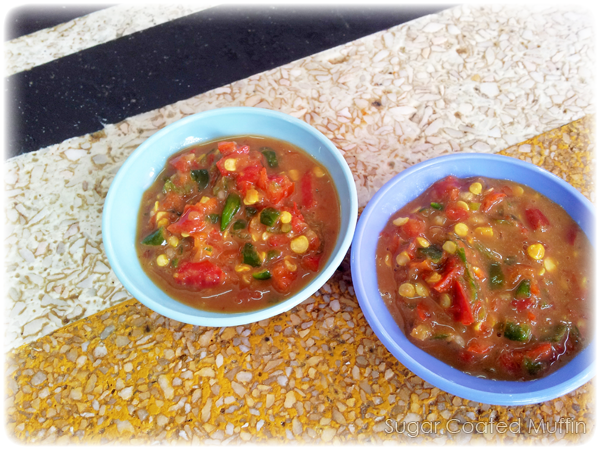 Freshly made sambal belacan with lots of chopped chilli to go with your food. 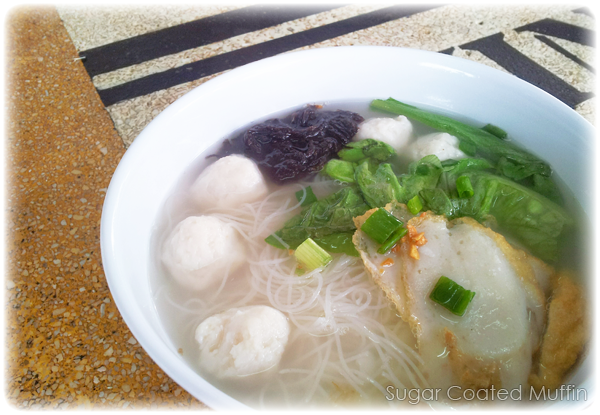 This is the Fishball Noodle (mihun) which costs RM 5.50. You can add on other ingredients like fish head (RM 14) too. The basic one comes with fried fish paste, a tiny bit of seaweed, a couple of leaves and 5 bouncy fishballs. There isn't much taste in the bowl so you're better off adding some chilli but it's so spicy, I had to skip it and ended up having a less than satisfying meal. Also, I had mine with glass noodles and it was sadly overcooked so the noodles were really flimsy (and oddly thinner than usual) like mihun. Not too impressed.. Tang House of Fishball is way better.